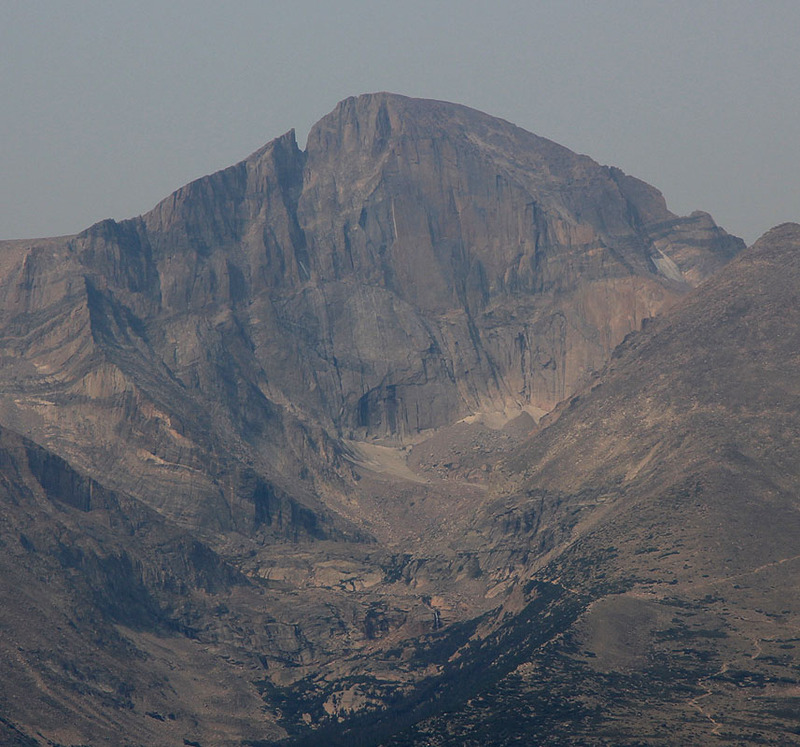 This mountain is located right across (to the east of) from the better known Longs Peak. Thus, this is a very good location for viewing Longs Peak. From the trailhead, just follow the very well used trail uphill. The trail will curve right near the top and take you to the lowest of the twin peaks. In order to climb the highest point, descend back to the saddle, then scramble (easy) among some bigger boulders to attain the summit. There is a vague path marked by a few cairns. 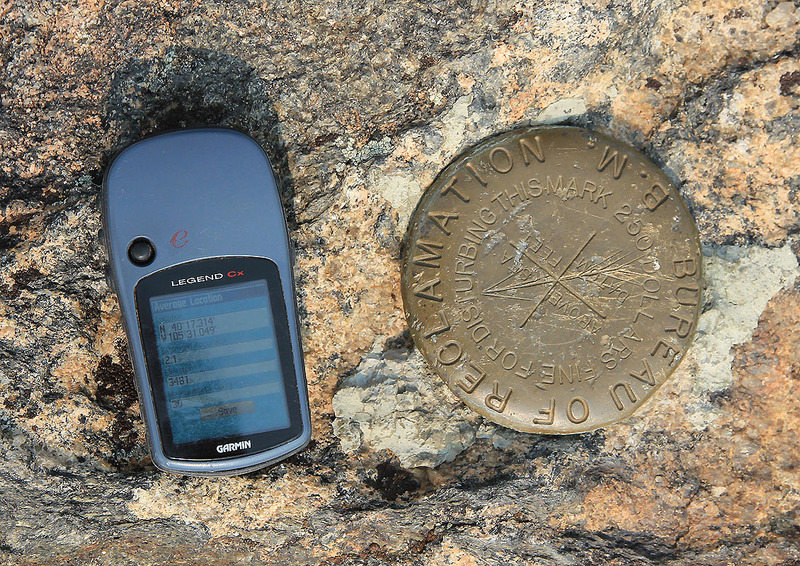 This summit holds a survey marker as well as a summit register. 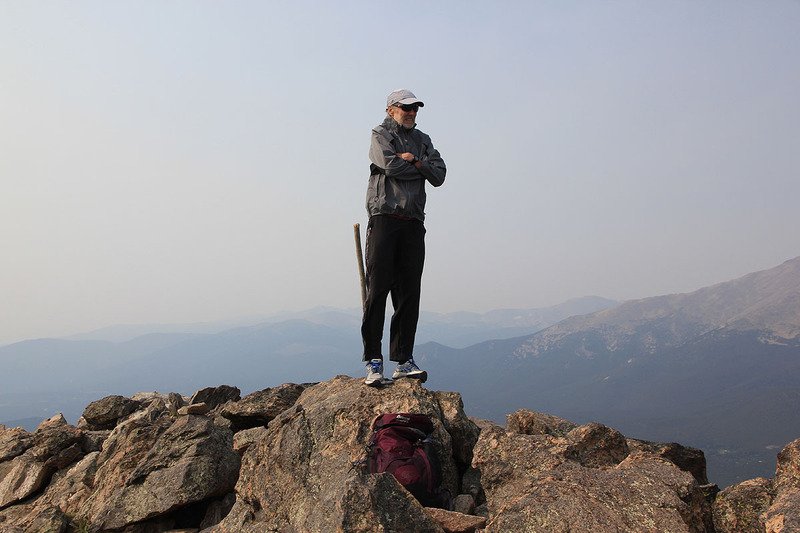 We left Lakewood in the morning and first drove to the Longs Peak trailhead where we dropped Rob at 0800. The plan was that he should climb Longs (which we had climbed) while Sverre and I would pay a visit to the Twin Sisters Peaks located directly across from Longs. We started hiking at 0830. I carried the pack that we shared between us. This would be Sverre's last workout before running Pikes marathon. Obviously, he was in pretty good shape and set a pace up the trail, just fast enough to make it a bit hard to carry on a conversation. I knew this would take a bit more than one hour and pondered if my legs would be able to stay at this speed for such a period. I decided that the answer most likely was yes and continued the fast walk following behind Sverre. About half way up, I suggested that he should take the pack which he did. Something quite interesting happened. He continued with the same effort (according to his own estimate), while I could now follow rather easily. Just cruising up the trail at a very comfortable pace. The pack was not very heavy, but it obviously made a significant difference who carried it. 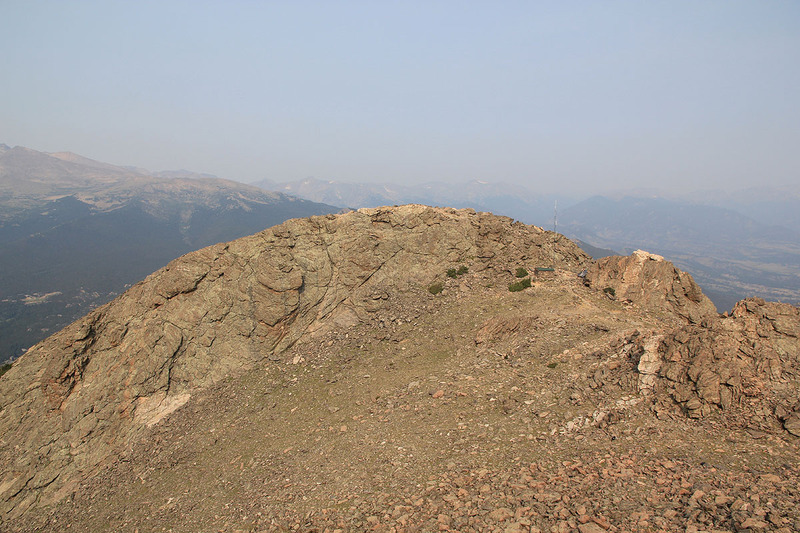 We were at the lower summit which is served by the trail, at 0945. 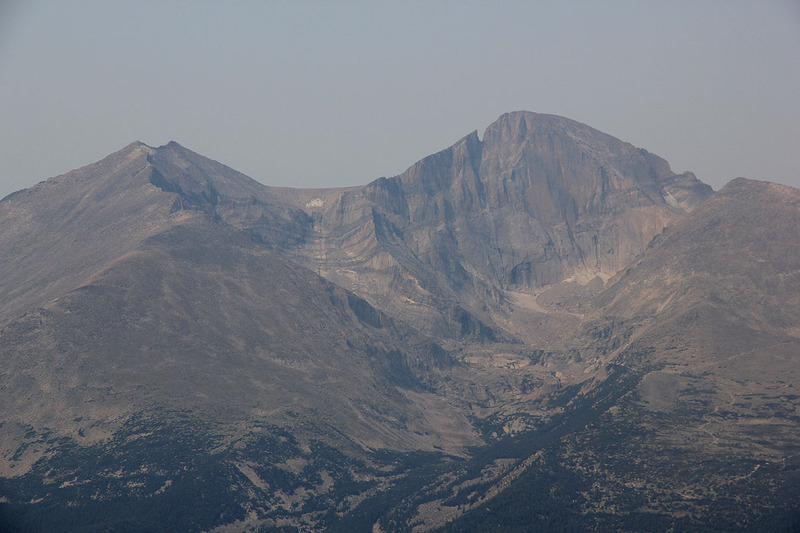 The view across to Longs Peak is indeed very good. You see directly at the Diamond Face, a very famous rock wall with many climbing routes. After a short break, we headed across to the other sister, which is slightly higher. It was a bit windy and we did not stay very long before descending back down to the car in about one hour. After lunch in Estes, we picked up Rob. 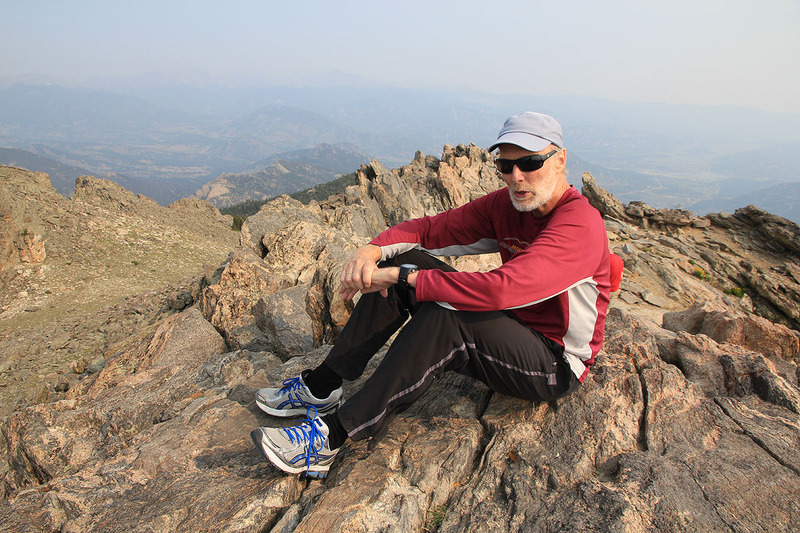 He had a very nice climb of Longs (below 6 hours round trip), rating it a clear 10 on Peakbagger. Sverre at the highest Twin Sister. The lower twin, as seen from the higher.